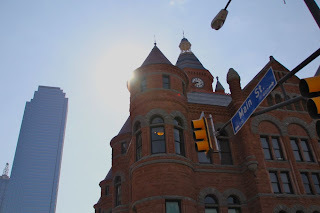 See-Dub: Dallas day trip, part 1: Sixth Floor Museum. 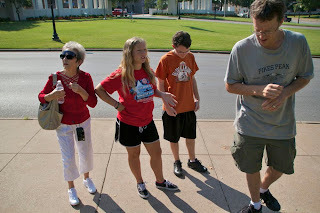 Earlier this year we accompanied Nana to the Titanic exhibit in Fort Worth. We had all been excited to see that particular exhibition, so we had reserved a date on all our calendars to make sure we didn't let it pass us by. At lunch that day, we discussed other local tourist destinations that we'd like to visit, and Nana mentioned the Sixth Floor Museum. 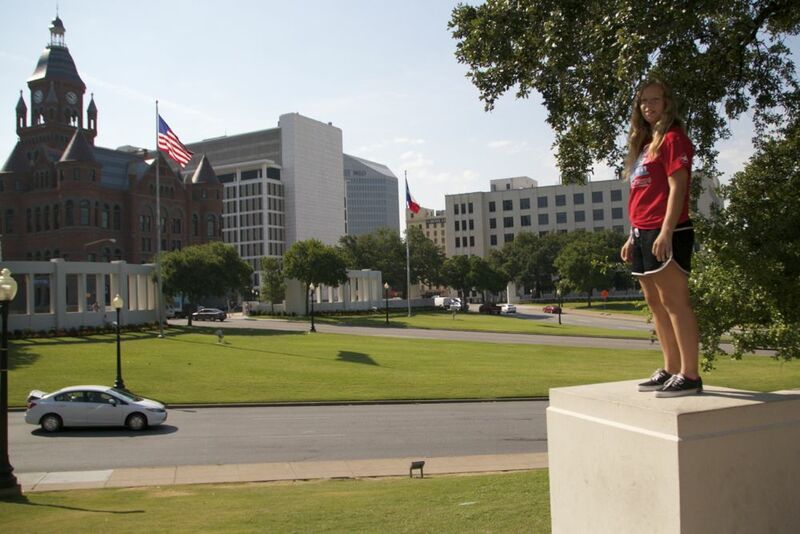 She remembers that awful day in 1963 when President Kennedy was killed, and although she'd been to Dealey Plaza, she had never visited the museum that recounts the tragedy. 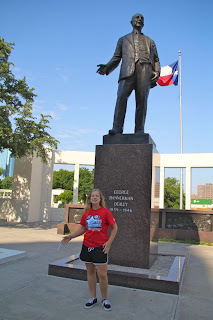 We decided that this summer we should take the train into Dallas and visit the museum. After months of talking about it, we finally nailed down the date: July 2. 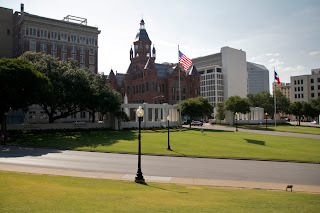 After this train ride into Big D, we walked the short distance from Union Station to Dealey Plaza. 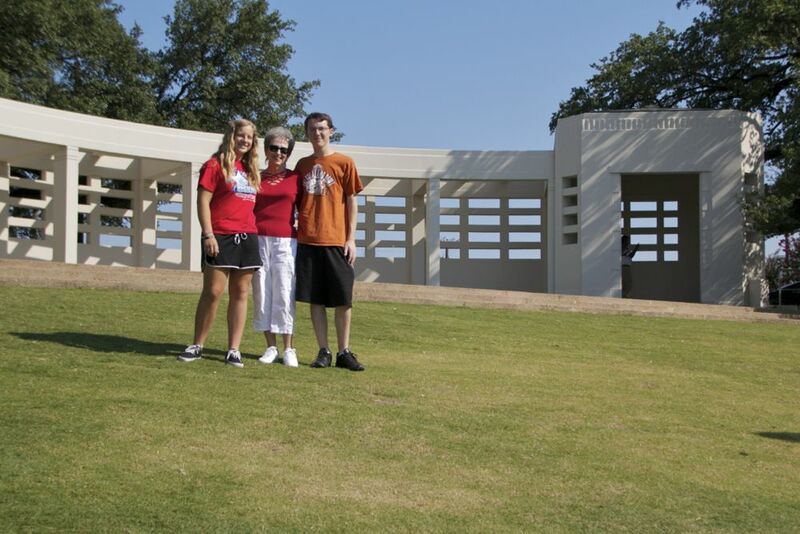 Some out-of-towners seem to think that these structures are dedicated to President Kennedy, but they predate 1963. 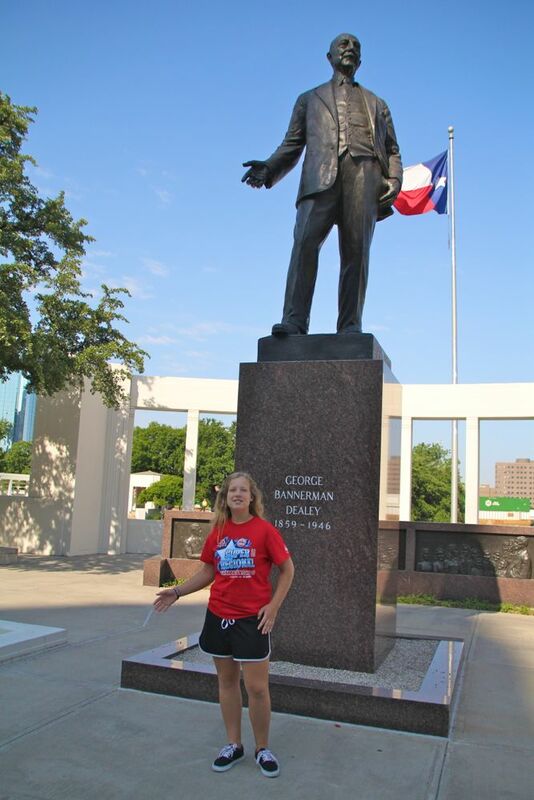 In fact, this area honors George Dealey, a longtime publisher of The Dallas Morning News who had pushed for downtown revitalization. As we walked along Houston Street, we couldn't help but notice "Old Red," the 1892 county courthouse that now houses a Dallas County history museum. We also couldn't miss the vendors with their conspiracy theory tabloids. 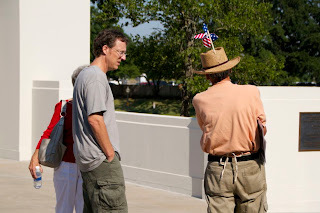 One vendor (not this one) was stunned that we didn't want to stay and talk: "Museum doesn't open until 10!" he repeated as we excused ourselves from his presence. Our destination: the sixth floor of this building, the former Texas Schoolbook Depository. 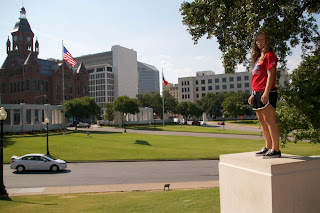 While we waited for 10 a.m. to arrive, we walked around the infamous grassy knoll. See the X on the street just to the left of Nana? 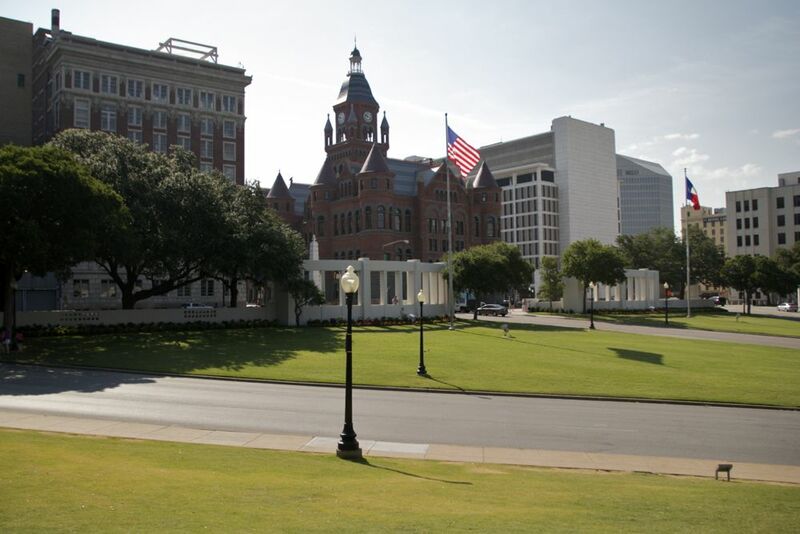 It was surreal to again walk these grounds, to see this historic place, especially the two X's on Elm Street that mark the presidential limo's location when the president was shot. 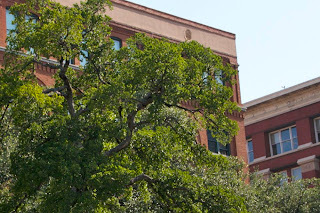 It's also creepy to stand on that sidewalk and look up to the sixth floor window, especially now that it's permanently "raised" as it was on 11/22/63. At opening time, the museum was the place to be. A long line of visitors waited to buy tickets, perhaps because it's the summer tourist season, or maybe because this year marks the 50th anniversary of the assassination. In any case, it took a while to get upstairs, but once there, we were transported to 1963. 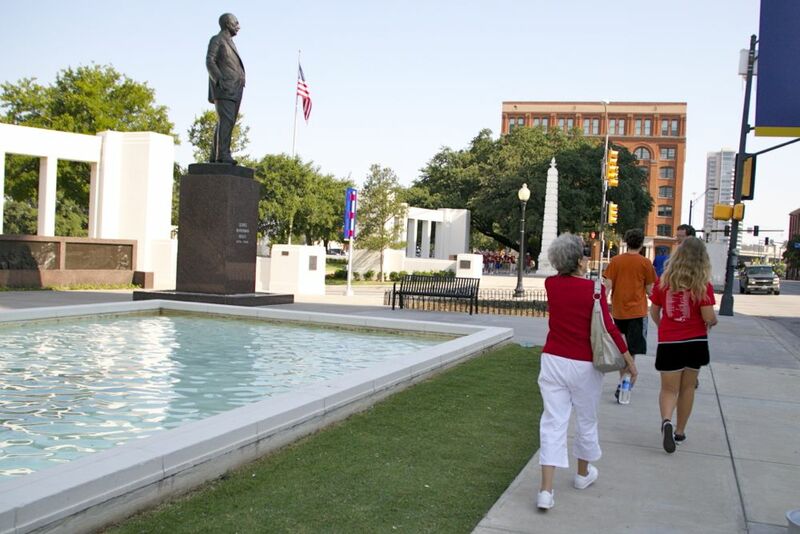 The photos and artifacts, along with the audio tour, help visitors have a good idea about the 1960s political climate and the Kennedy mystique as well as the events related to the assassination. 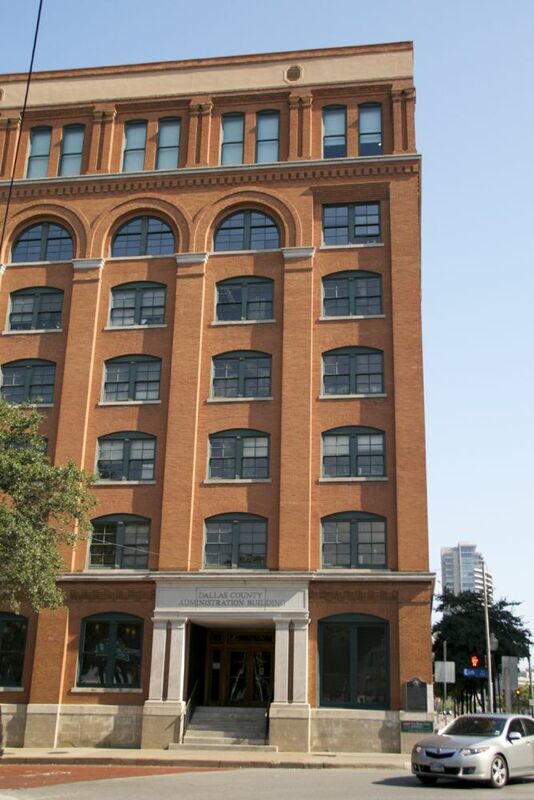 As you wind through the exhibit and work your way through the background info, it's eerie to realize that you're approaching the building's corner, that window, THE spot where Lee Harvey Oswald hid behind textbook boxes, steadied his rifle, and took aim. It's incredible to stand so near that window and see the boxes arranged just like they were on that fateful day. From other sixth floor windows, you can get an idea of Oswald's view of Elm Street below. Another spot on the sixth floor indicates where Oswald's rifle was found amid more boxes. 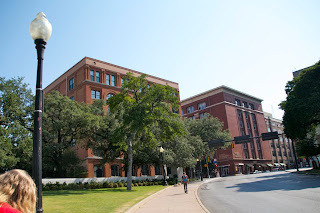 The rest of the museum explains the investigation, the murder of Oswald, the funeral for JFK and the worldwide response to his death. 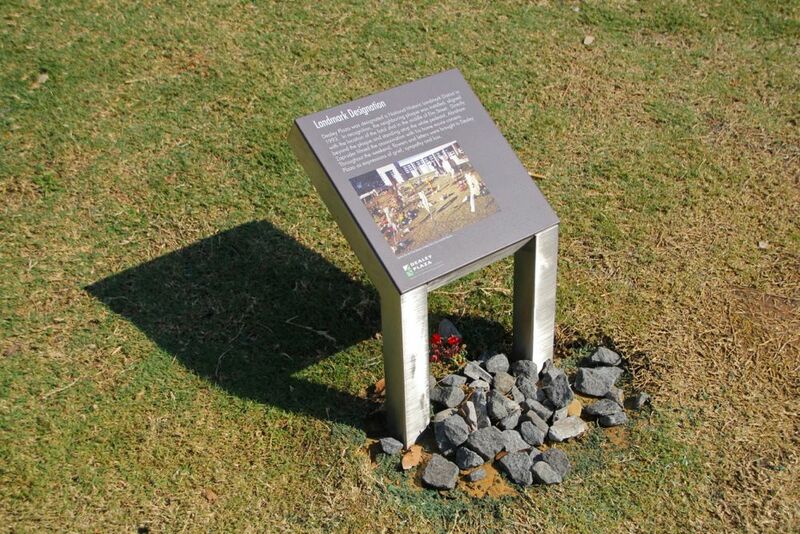 Many panels are dedicated to the various attempts to unearth the truth about Kennedy's death, from the Warren Commission to the House Select Committee on Assassinations and beyond. 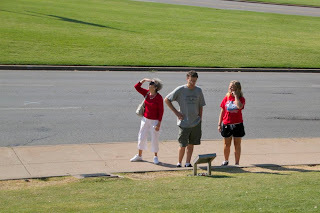 As I wrote in 2008 after our previous visit, I was impressed by the way the museum presented not just the "lone gunman" theory but also acknowledged a variety of possible conspiracies. It's weird to say we enjoyed an experience that recalls such a tragic event, but we are glad we could take it all in. After the informative and sobering museum visit, we walked to West End for lunch at the Spaghetti Warehouse. 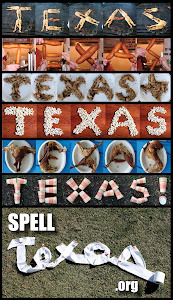 With full bellies, we were ready for the next part of our Dallas adventure.